We must never forget that we may also find meaning in life even when confronted with a hopeless situation, when facing a fate that cannot be changed. For what then matters is to bear witness to the uniquely human potential at its best, which is to transform a personal tragedy into a triumph, to turn one’s predicament into a human achievement. When we are no longer able to change a situation—just think of an incurable disease such as inoperable cancer—we are challenged to change ourselves. In fact, Swedenborg agrees with Frankl that when we are in the midst of suffering and struggle, that is precisely when we are at our most human. And though it may seem just the opposite to us at the time, it is also when God is closest to us. Let’s take a closer look at what suffering and struggle are all about spiritually. Perhaps you were drawn to this article because your life is full of pain, struggle, and suffering right now. Perhaps in your life as a whole there has been more suffering than joy. Is your life worth living? Is there any meaning to it? Is it even worth continuing on? Pain and suffering is an unfortunate fact of life. Very few people get far in life without experiencing some sort of pain and suffering, whether physical or psychological or both. And for some people, suffering is more the norm than the exception. Let me make it perfectly clear that in no way is suffering necessary to find meaning. I only insist that meaning is possible even in spite of suffering—provided, certainly, that the suffering is unavoidable. If it were avoidable, however, the meaningful thing to do would be to remove its cause, be it psychological, biological, or political. To suffer unnecessarily is masochistic rather than heroic. In other words, if pain and suffering is avoidable, then avoid it! There is no need to make ourselves suffer unnecessarily. However, some suffering is unavoidable. And though the suffering itself is bad, it is not necessarily bad for us to experience it. Those who experience little or no pain and suffering in their lives tend to be superficial and—dare I say it?—rather self-absorbed. They tend to have little care or empathy for the struggles and feelings of others. Those who have suffered, on the other hand, often come out the other end softer, more thoughtful, more compassionate, more spiritual people than they would have been if they’d never experienced the darker, more painful side of life. In short, as Frankl says, it is through the crucible of pain and suffering that we humans achieve our greatest humanity. You see, we human beings do not start out truly or fully human. Yes, of course we have human parents and human DNA, and at birth we are biologically classified as belonging to the species homo sapiens. But even biologically, we are not fully developed. We do not have the full powers of an adult human being. For example, we cannot feed ourselves, nor can we walk. When it comes to the mental characteristics that make us human, we have even farther to go at birth. When we first come out of our mother’s womb we have none of the capabilities of higher reasoning that especially distinguish human beings from lower animals. We also have none of the higher and deeper forms of love that are uniquely human. In fact, as pointed out in the article, “Spiritual Growth 101 with Mike Tyson: ‘The Virtue of Selfishness’,” when we start out in this life we are mostly wrapped up in ourselves and in our own feelings of pleasure or pain. And though our parents and teachers may be able to train us to pay attention to others and take their wants and needs into account, by the time we reach adulthood we still tend to think of our own pleasure and possessions first, and of others second. In this way, we are really no different than the lower animals, who put their own survival and comfort first, and have no particular concern for the wellbeing of other animals—which may just look like food to them. Yes, lower animals do have concern for their offspring and for other members of their pack. But that’s not so much because of any genuine love for them, but because they see them as extensions of themselves, and as part of their own survival. Though these animal drives and motives are also part of our human psychology, we humans are made for more than that. We humans are uniquely capable of putting ourselves in the shoes of another human being, and of considering other perspectives and other experiences besides our own. We human beings are also uniquely capable of thinking about such things as meaning, purpose, and goals in life. And we humans are uniquely capable of thinking about God and spirit, and focusing our lives on higher things than on our own pleasure, power, and possessions in the material world. How do we achieve these truly human character traits, and move beyond being merely animals with larger than usual brains and greater than usual intelligence? For the most part, it happens only through the experience of pain and suffering. That’s because pain and suffering is generally the only experience strong enough to break us out of our natural tendency to focus our life on our own wealth, pleasure, and power, and begin to develop the higher parts of our nature as human beings. Viktor Frankl experienced some of the worst pain and suffering ever inflicted by one group of human beings on another. For three years, Frankl was a prisoner in Auschwitz and several other Nazi concentration camps. Everything he possessed was taken from him. His beloved wife and most of the rest of his family died in the camps. Even the manuscript for his first book on psychotherapy was lost. He had nothing left but his body and his mind. During those years he experienced imprisonment, starvation, bitter cold, forced labor from dawn till dusk, sickness, disease, and the constant presence of death for one prisoner after another. In such an atmosphere, the most natural thing to do was to succumb to hopelessness, despair, and death. And yet, Frankl found meaning in the midst of that suffering. He came to realize that as horrible as their situation was, something greater than all that pain and suffering was present in those camps. It was the greatness of the human spirit, which can make the decision to rise above pain and suffering, and live for greater goals even when death seems inevitable. In fact, Frankl came out of the camps believing even more strongly than when he went in that one of the distinguishing characteristics of human beings is that rather than being determined by our environment as are the lower animals, we humans can act from higher qualities of love, rationality, understanding, and compassion even when we see little or none of it around us. And that is what saved Frankl himself. 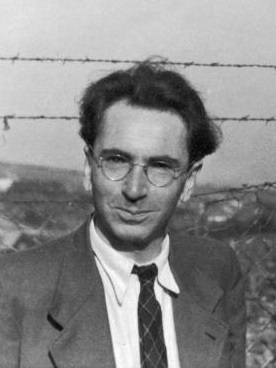 Rather than succumbing to hopelessness and despair as so many of his fellow prisoners did, Frankl devoted his efforts to helping his fellow prisoners find some meaning and purpose in their lives . . . some reason to continue forward, and to live. And though many of them died anyway, their lives up to their deaths became a testament of the human spirit’s ability to live for higher purposes even in the midst of the worst pain and suffering imaginable. Frankl went on to found a whole new school of psychiatry called “logotherapy,” which has brought help, meaning, and purpose to thousands of people. His own experience of suffering gave Frankl the foundation on which to build great meaning for his own life, and bring about great good for millions who have read and been inspired by Man’s Search for Meaning. The popular meaning of “temptation” is being tempted to do something that we know we shouldn’t. But the “temptation” Swedenborg speaks of is much deeper than that. It is more akin to Frankl’s experience of having the ultimate choice of whether to give in to despair or to rise above it. Temptation is a process of inner struggle in which we make the fundamental, human decisions that will determine whether our psychological and spiritual life goes downward to destruction or upward to greater meaning, love, and joy. In the inner suffering and struggling of temptation—which is often made even more intense by physical pain and suffering happening at the same time—we are at our most human precisely because that is when we are exercising our uniquely human ability to choose who and what we will become. When we are facing suffering in our mind and heart so severe that, like Frankl’s experience in the Nazi concentration camps, it seems that nothing we hold dear is left, and everything is lost, that is precisely when we face the ultimate realities of life stripped of all external distractions and allurements. When there seems to be nothing left for us to live for, that is precisely when we make the decisions that will change our lives, and determine our course as human beings. When there seems to be no benefit in it for ourselves, if we then make the choice to hold onto hope, to look for meaning, and to devote our lives to love, understanding, and compassion for others rather than to securing wealth, pleasure, and power for ourselves, we have begun to make the transition from our original animal-like self-absorption to the true humanity of freely chosen love for our fellow human beings, and ultimately, for God. Temptation and our inner struggles against suffering and despair is a vast subject, which we will return to in future articles. For now, please know that none of your pain and suffering is meaningless. It is especially when you suffer and struggle that you have the ability to become fully human. And please know that even though it may seem as if God is far away from you when you are in the depths of suffering and despair, that is actually when God is closest to you. God sees that in those moments you are facing the raw realities of your own humanity—and God loves that intense, visceral humanity in you. God will not take that humanity away from you by stepping in and making your decision for you. But God will give you the strength to choose hope over despair, and life over death if you wish to do so.